When and where did you learn a language abroad? Which language? In the summer of 2011, I had the opportunity to volunteer in a community hospital and children’s clinic in Cusco, Peru, working as a nurse’s assistant. I had wanted to volunteer abroad to gain insight into health care systems in impoverished countries, and to help others in need. I selected the AmeriSpan SALUD program because it offered students the ability to volunteer in a hospital setting while taking a medical Spanish course. Homestay living arrangements were also made available for the duration of the course. Were you involved with a particular program or school? What made you select your program/country? I spent several days researching language study programs both online and through my school’s study abroad office. Ultimately, I chose AmeriSpan’s program because it included all the specific things I wanted from a program. In the AmeriSpan program, you take your medical Spanish classes at a school geared towards international students. The school had organized activities and trips that we could participate in on a daily basis. 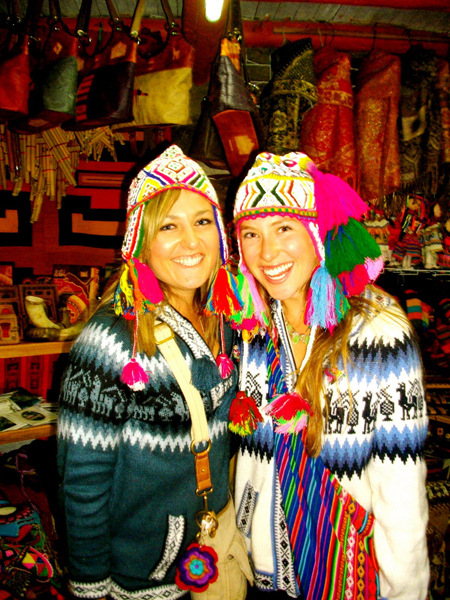 I did a variety of things outside of my volunteer work and language learning in Cusco: I rode horses through ancient ruins, made chocolate in the traditional Peruvian style, shopped in cities in the Sacred Valley, and took a tour of an alpaca textile factory. One weekend we took a bus to Lake Titicaca, where we had the opportunity to stay the night on the islands and spend time with native families. Another major sight to see was Machu Picchu. A friend and I decided to do a four-day Inca Jungle trail hike through the rain forest. We rode mountain bikes through waterfalls, went white water rafting, zip lining, swam in hot springs and hiked many miles until we reached our final destination. 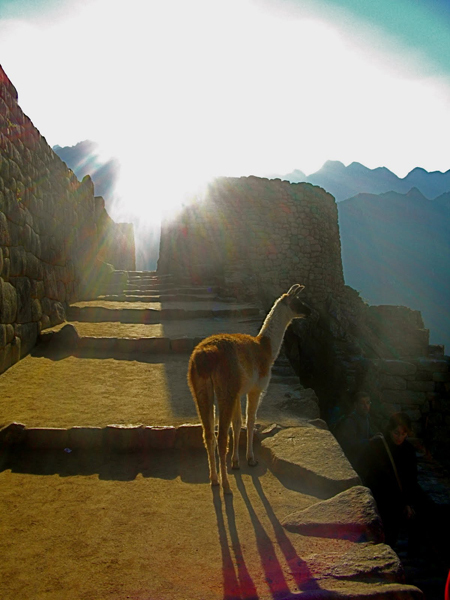 Machu Picchu was a truly remarkable sight. I learned so much about the history of the ruins and had a great time getting there! I think there were many things that contributed to making my experience a great success. Firstly: my decision to go alone. I knew that while having a friend to accompany me would have made it more comfortable, going by myself would make me stronger, and force me to interact with everyone that I encountered. 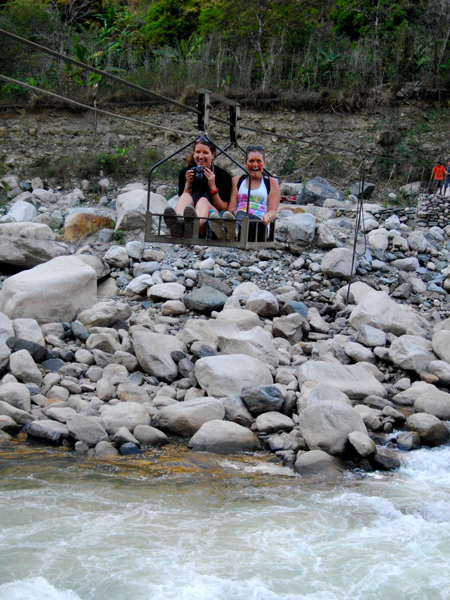 Another reason my trip was such a success was that I jumped into things without second-guessing myself. If I hadn’t stepped out of my comfort zone, I’d never have discovered so many amazing places. And lastly, while my Spanish was definitely sub-par upon arrival to Cusco, I didn’t hesitate to try my best to communicate with the locals. Everyone was very understanding of my slow speech and encouraged me to practice and improve. AmeriSpan offers many scholarships for their trips, which definitely helped out with finances. I set up an online account that friends and family could donate to my trip. I found that I was pleasantly surprised with how generous and supportive friends and family can be when there’s an important cause. During my time at the hospital, I was shocked at the level of care and cleanliness practiced there. There are many things that we take for granted at home that are luxuries abroad. Sometimes I also didn’t feel totally welcomed by the local workers, but I knew that they probably had reservations about a young foreigner working in their hospital. I tried my best to make conversation with them and went out of my way to introduce myself and ask if I could help in any way. This seemed to help. My return was very bittersweet. I wish I could have stayed longer to travel more and learn more about the Peruvian culture and healthcare system. I stayed with the sweetest family during my six weeks there, and saying goodbye to them was very hard. 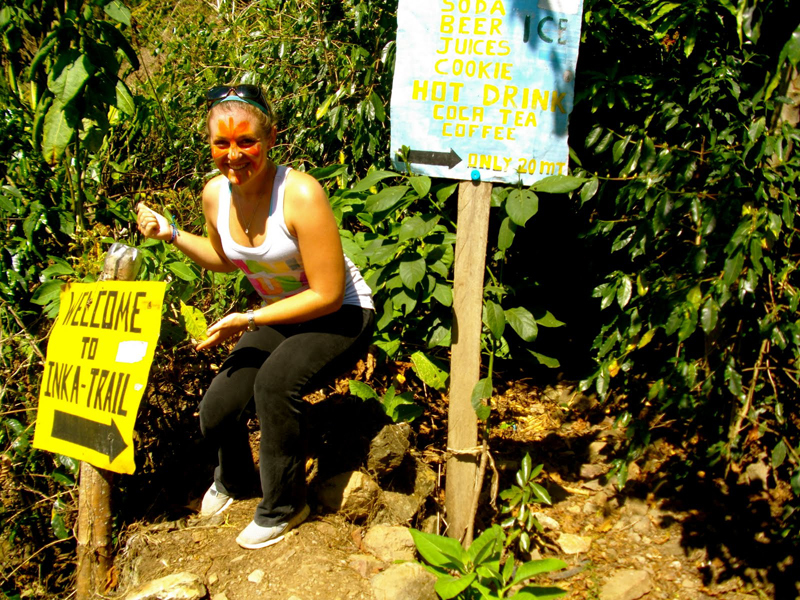 But the experienced sparked my passion for international philanthropic travel and changed my life for the better. In January, I’ll be traveling to Ghana, Africa with 50 of my fellow nursing students. We’ll be setting up a health clinic for 10 days. 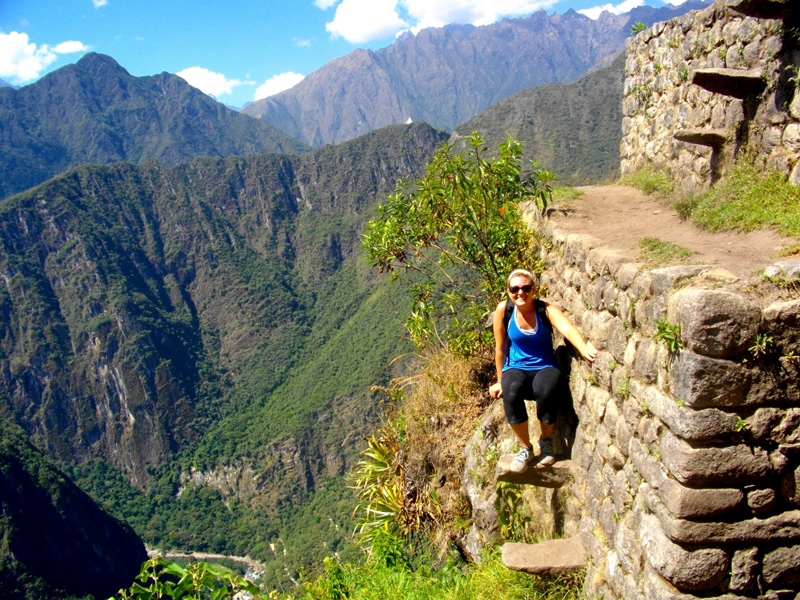 I am SO excited for this adventure, and hope it will be just as rewarding as my trip to Peru! Do you have any final observations about your experience? 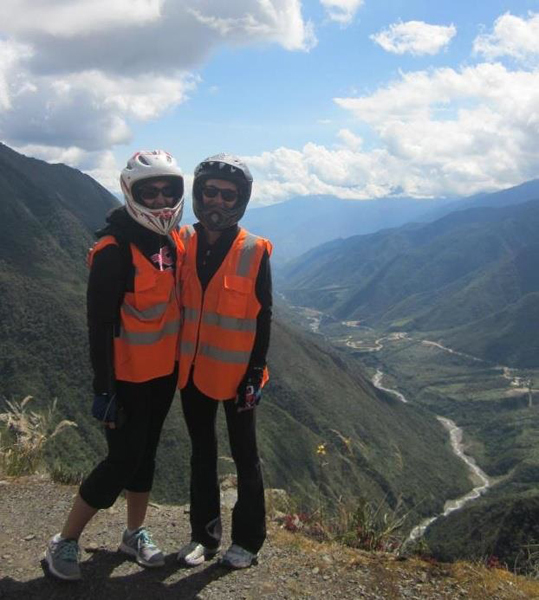 The local culture of Peru is very family-oriented. My host "mom" was a grandmother living alone, but her son, daughter and grandchildren came over for lunch every day. Lunch is a very big deal in Peru! Lunch breaks from work are typically two to three hours long in order for families to get together. Peruvians are also very organic in the sense that they utilize every piece of the earth to support their health and diet. Various herbs, roots and grasses are their first line medical treatment as opposed to the pharmaceutical interventions we’re used to. In America, we are so quick to take pills for our ailments, whereas in Peru, they will cure their ailments with various teas, herbs, leaves and grasses almost exclusively. 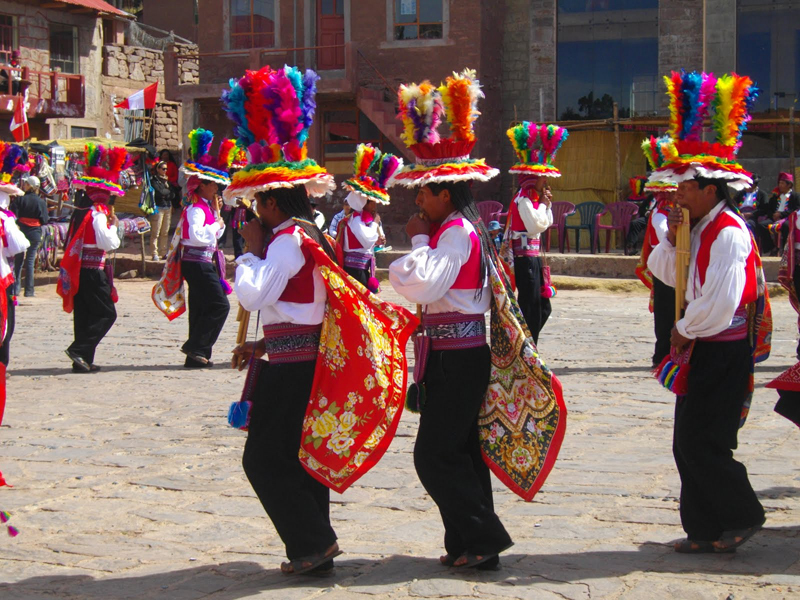 Peruvians are also extremely proud of their culture. Nearly every day, there was a festival going on in the town square. If I ever asked them what they were celebrating, locals would look at me, laugh and seem surprised by the question. I was blown away by their overwhelming national pride. What are your future plans for going abroad, building your language skills, and for your career? In the future, I hope to make many more international philanthropic trips where I can contribute my skills as a registered nurse. I will be graduating from my nursing program at San Diego State University in May of 2013. I hope to go on to get my master’s degree soon thereafter in order to broaden my scope of practice on an international level. 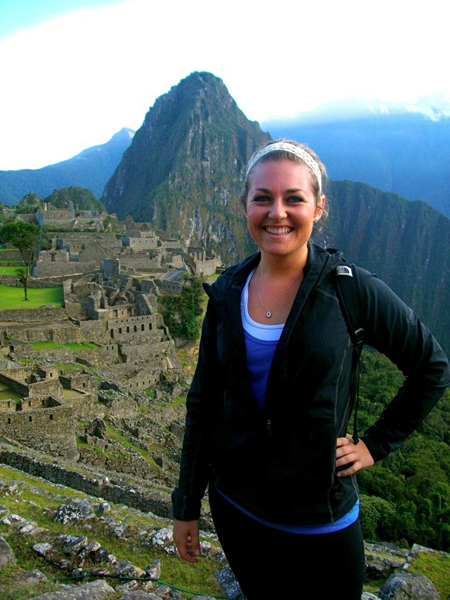 Nichole is on the right track to achieving her goal of working internationally as a nurse. She mentions that she’ll soon be graduating with a master’s degree in nursing. Bravo to Nichole! A master’s degree is often considered the new minimum for many (but not all) international positions. For those in a similar position, I might recommend adding an extra year during your master’s to volunteer abroad, intern abroad, or to complete a research project overseas for an extended period of time. If you work towards this goal, your chance of breaking into the international field upon graduation will be much, much greater. If you plan to work in international development, you must have previous experience living abroad, preferably in a rural or developing location. Paying one’s dues is not as difficult as you might first think, since rural “hardship” life – in Africa or Central America for example, can be full of interest. Each placement, no matter how remote, has its own hidden rewards. Nichole has a great plan for her short-term future, but she and others like her may find some useful information among the suggested resources below. For information on volunteer and internship positions in international health, check out the section NGOs & International Development which includes the All NGOs list. Many of these NGOs operate in the international health field. For more advanced information on how to break into the international health sector, see Health Careers Abroad. Note that there are many student clubs that promote international health issues, see the full list in our Resource List International Associations With Clubs On Campus.